Semaphore Splash is a boutique apartment complex built in 2017. All apartments are extremely spacious, highly secured, lift-operated and enjoy front balcony views of Semaphore Road and the ocean. There is free parking and free Wi-Fi available in the whole complex. 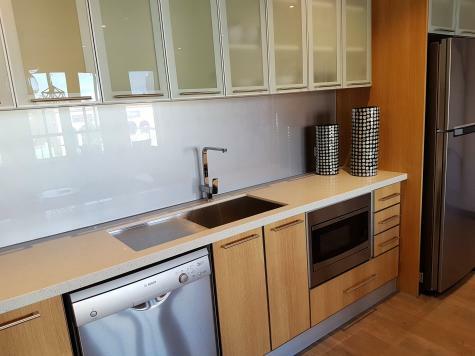 The apartments feature open-plan living with a fully equipped kitchen. The main bathroom has a bathtub with separate shower and most apartments also have an ensuite bathroom. 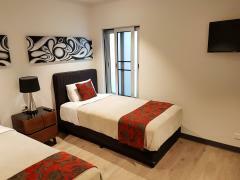 All apartment rooms have windows for natural light and ventilation and all bedrooms include a TV. Semaphore Splash is situated in one of Adelaide's premier main-street locations, next to the iconic Odeon Star cinema and in walking distance to a variety of restaurants, cafes and take-away outlets, with an adjacent supermarket and many local amenities. The nearby historic Port Adelaide precinct is a 10 minute walk away and has multiple attractions, including a weekend market, a dolphin observatory and ferry cruises along the Port River. The Westfield West Lakes Shopping Centre is accessible by public transport and is only a 5 minute drive away. The Adelaide City centre is also accessible by public transport and is 14km from the property.